Multan(Monday, October 02, 2017):– Prize bond 15000 Draw List result 2nd October 2017 held at Multan city by National savings of Pakistan. From the title you may find that the Rs 15000 prize bond 72st draw will hold on 02 Oct, 2017 in Multan city of Punjab today. 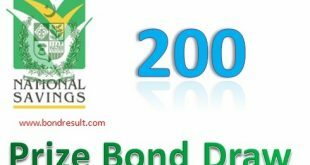 The 15000 prize bond list 2017 is the latest and Last draw of the year. This is common draw serial of Fifteen thousand prize bond with #72 till so far. The official website of www.savings.gov.pk holds the right to announce the schedule and result on prescribed website. You can download Prize bond 15000 full draw list result 02.10.2017 Monday on this page at 5:00 pm. The first and second winning lucky numbers are to be displayed at early in the morning at 9:05 am on bondresult. So to find the 15000 Prize bond list October 2017 Multan at your first instance then please subscribe to this page by bookmarking and email subscription to get all prize bond updates about draw, schedule and any other news. The 15000 Prize bond List October, 2017 is to be shared very soon on this page. 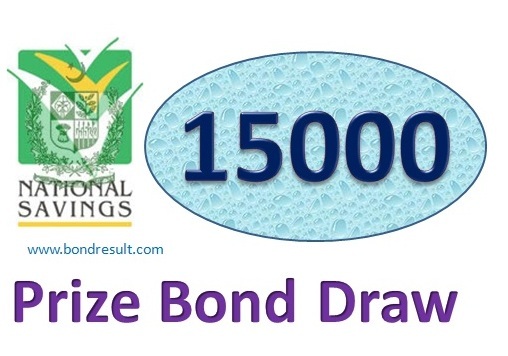 This is the fourth draw of 15000 prize bond till so far by national savings this year. The next draw will held in the month of January 2018 first week. Like other big prize bond this have also attractive prize amounts for you. You have to build you own portfolio to get in for best winning prizes that are only buiy luck but you can try to have first or second prize indeed This draw of fifteen thousand prize bond with serial number seventy two have also very good amount of prizes for you. The first prize amount is three cror rupee (30 Million Rupee) That is very high amount for an average Pakistani citizen to fill the all business startup need and have luxury lifestyle. But this is only for one lucky person have the six digits prize bond of 15000. The second prize amount is One cror(10 Million Rs.) that for three lucky winners. And the third prize amount is one lac and eighty five thousand rupee (185k) that is also a good amount to change the yearly and monthly budget scheme for salary person. The 15000 Prize bond Draw 71 will give you a chance this time that may change you luck. National savings Prize bond Rs, 15000 Draw #72 List Result 02 October, 2017 held at Multan city will be updated very soon on this page. 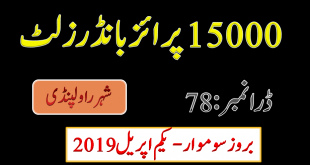 To download 15000 Prize bond full list October 2017 Multan city find below the links. The 15000 prize bond list october 2017 in Multan city is listed below with first second & Third prize amounts.